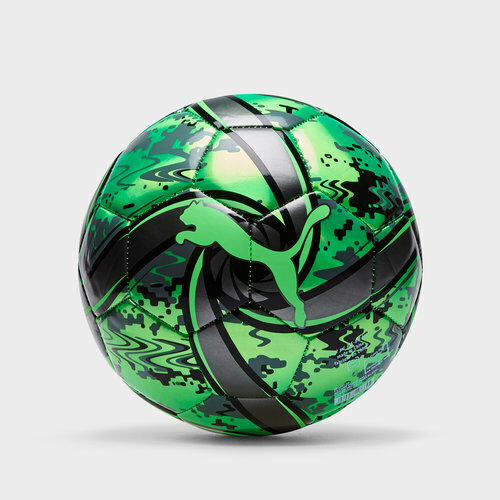 Practice your skills with this Puma Future Flare Training Football which comes in a Green Gecko and Puma Black colourway. This football is perfect for recreational use as well as training purposes. It comes loaded with features to boost speed, bounce and flight. The TPE foam and polyester backing lend a soft feel whilst promoting ball movement. The rubber bladder offers top air retention. This ball has been finished chromatic TPU effect creating eye-catching detail.